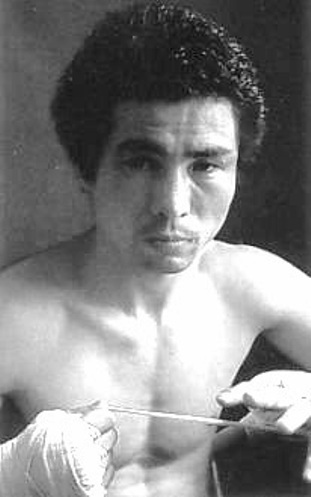 The career of Betulio Gonzalez, which should be enshrined in the Hall of Fame but for reasons unknown is not, featured numerous clashes with various champions, but was otherwise defined by his rivalries with two men: the great Miguel Canto of Mexico, without question one of the best flyweights of all-time, and two-time world champion Shoji Oguma of Japan. 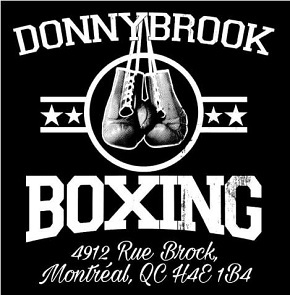 All three boxers were part of a lively, if not chaotic, flyweight division in the 1970s which saw world titles change hands frequently. 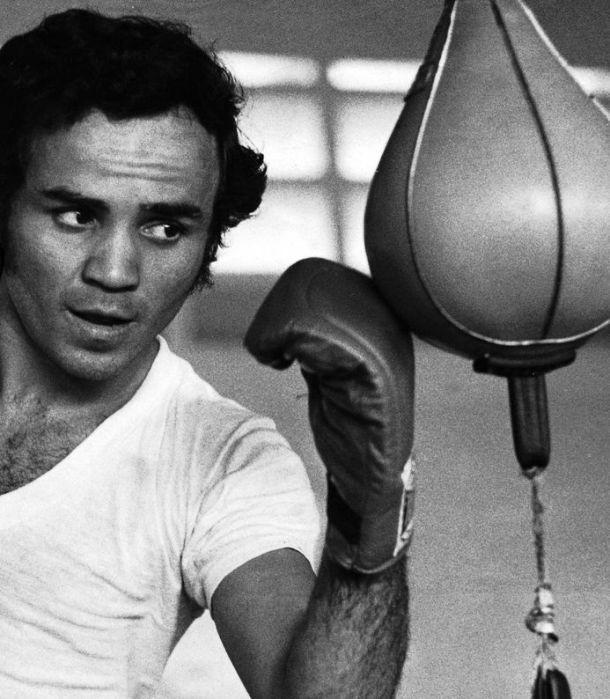 Gonzalez, a clever, game boxer with quick hands and a dangerous right hand, had his first chance at a world championship in 1971. He dropped a 15 round decision to Japan’s powerful Masao Oba (whose career was cut short by a fatal car accident in 1973), but then won three in a row to get a second title try later that same year. He was again denied when his match with Erbito Salavarria of the Philippines was scored a draw, but Salavarria failed a drug test so the following year Gonzalez got a third chance when he met Socrates Batoto, also of the Philippines, for the vacant title. This time Gonzalez made good, stopping Batoto in round four, but he surrendered his title just a few months later in his first defense when he took a terrible beating from Thailand’s Venice Borkhorsor. 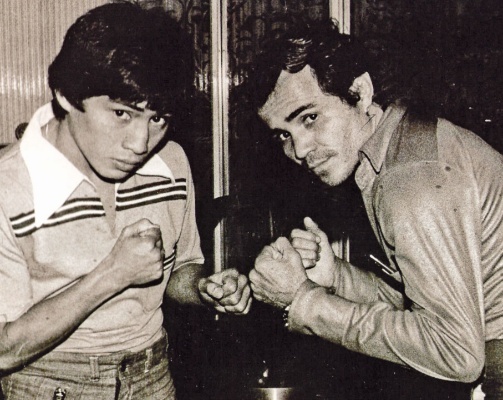 Just six weeks later Gonzalez was back in the ring and he went on to put together another series of wins and then met Miguel Canto in August of 1973 for the same world title after Borkhorsor had abandoned it to move up in weight. Gonzalez remains the only boxer to defeat the great Canto when he was in his prime as he won his second world title by split decision. The following year Gonzalez and Shoji Oguma clashed for the first time, in a non-title bout in Japan. Betulio won the decision but five months later they fought again, this time for the title and this time Oguma got the points verdict. 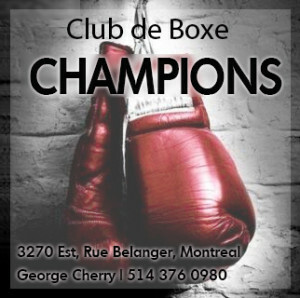 However, in his first title defense, the Japanese boxer lost his crown to Canto by decision, who then defended against Gonzalez and avenged his earlier defeat by outboxing and outpointing his rival. But this story of flyweight musical chairs was far from over. 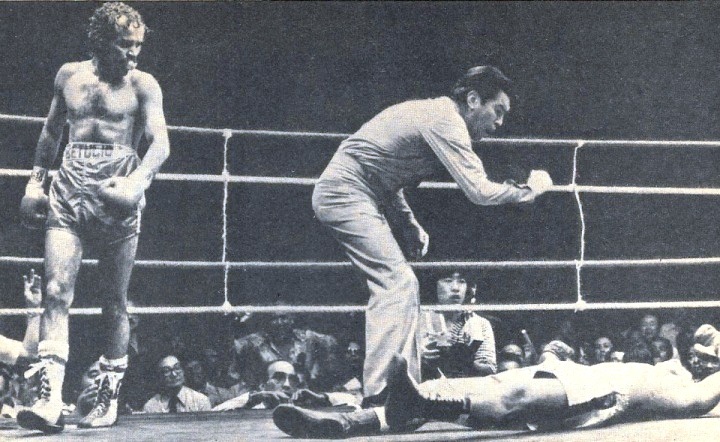 The highly active Gonzalez rebounded to put together another impressive win streak which culminated in his wresting the WBA version of the flyweight title from Guty Espadas in July of 1978. Meanwhile Canto kept reeling off title wins of his won, including two over Oguma that same year. Gonzalez (right) poses with Guty. In January of 79, Gonzalez defended against Oguma in Japan and once again they battled to the final bell and this time the judges declared the fight a draw. The decision was greeted with incredulity; most thought Oguma the obvious winner. So the WBA ordered a rematch, a final confrontation. 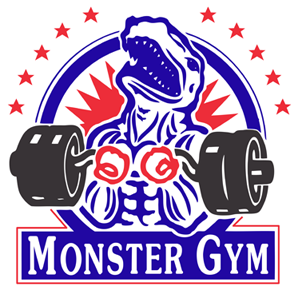 Gonzalez vs Oguma IV was set for Utsunomiya City in Japan, the match to decide once and for all who was the better battler. Once again, it was a competitive battle until the surprise ending. The early rounds saw the more aggressive Oguma in control as he pressured Gonzalez and let his hands go. It was evident he intended to exploit his advantage in punching power as the southpaw unloaded with both hands to the body before coming over the top with hard left hands. The patient Venezuelan for the most part retreated and side-stepped Oguma’s attacks, on occasion countering effectively with his straight right, but landing nothing to discourage the challenger. The crowd cheered their countryman on as he clearly won at least five of the first seven rounds. Gonzalez fared better in rounds eight and nine, but it was still Oguma coming forward and landing the heavier shots. In round ten he almost floored the champion with a vicious left hand and in the eleventh he continued to carry the fight to Gonzalez. Then came round 12. Midway through the round saw a rare instance where Oguma gave ground. He slipped a pair of jabs from the champion as he backed to the ropes but didn’t see Betulio’s follow up, a short, crisp right hand which landed perfectly on the challenger’s chin. Oguma collapsed face first. He gamely got to his feet but the referee kept counting as the Japanese fighter staggered about the ring, clearly in no condition to continue. It went into the books as a clean, one-punch knockout, a most surprising conclusion to the fight, not to mention the Gonzalez vs Oguma rivalry. The dejected challenger admitted he never saw the right hand which ended the match.